“It will be really good to get him back on United States soil,” Manchin said in an interview on CNN’ New Day anchor John Berman. “He’s our property. We can get the facts and the truth from him,” the lawmaker added. 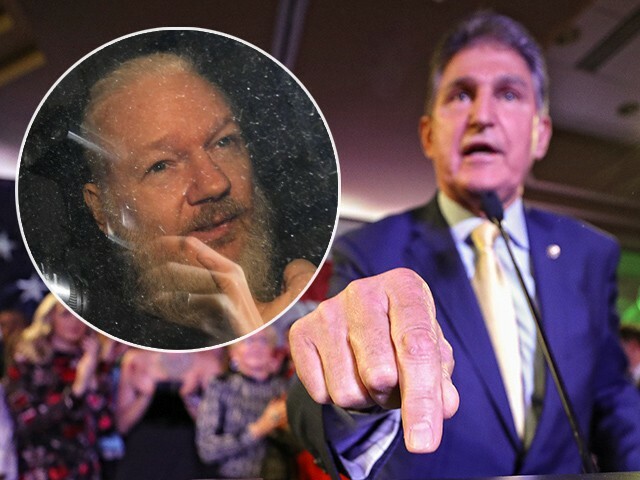 Manchin’s comments came after London police arrested the WikiLeaks founder at the Ecuadorian embassy, where he took refuge in August 2012. Assange is appearing in a London court as it considers a U.S. extradition request on criminal charges over the publication of tens of thousands of secret government documents. Assange saluted supporters who packed a public gallery at Westminster Magistrates Court on Thursday and gave them a thumbs-up. The Justice Department charged Assange with conspiring with Chelsea Manning, a convicted intelligence leaker and far-left political commentator, to break into a classified U.S. government computer. The indictment accuses Assange of assisting Manning, a former U.S. intelligence analyst, in cracking a password that helped Manning infiltrate Pentagon computers. The charge was announced Thursday after Assange was taken into custody. Jennifer Robinson, the WikiLeaks founder’s lawyer, has previously said that Assange planned to fight any U.S. charges against him.